It is one of those shows that spliced cheaply-bought Japanese live-action series with less-than-expensive original footage showing the heroes in their human lives – so as to be more relatable to young Western viewers. The action footage, and a variable percentage of the story, comes from the Kyoryu Sentai Zyuranger series. When not clad in his strength-augmenting uniform, Billy possesses the normal human strength one would expect to find in a youth of his age, height and build who engages in moderate regular exercise. With his strength augmented by his uniform, Billy can lift (press) at least 500lbs directly over-head. Billy’s (presumably) mystic augmentation uniform heightens his strength and durability; effectively rendering him impervious to damage from firearms, large impacts, falls and even massive explosions. It also enhances his stamina, agility and reflexes to levels comparable to those possessed by most Olympic athletes and gives him the ability to leap inhuman distances. Billy has become a good hand to hand combatant and acrobat thanks to his training with the other Rangers. But it is his intellect that truly allows him to shine amongst his peers; Billy is literally a genius. He is a skilled software developer, engineer, and inventor that is capable creating and/or repairing alien technology and weaponry. 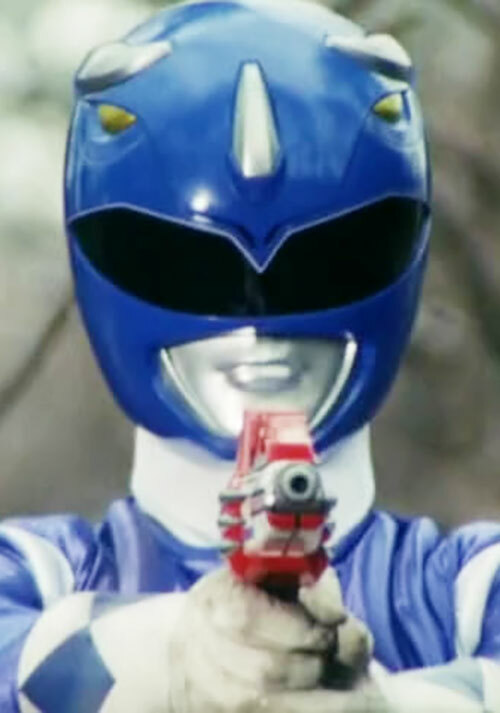 As the Blue Ranger, Billy wields the standard Ranger sidearm into battle; a Blade Blaster. The Blade Blaster is a small high-tech dagger like weapon that can be converted into a high-powered laser gun. Additionally, Billy can summon his “Power Lance” at will. 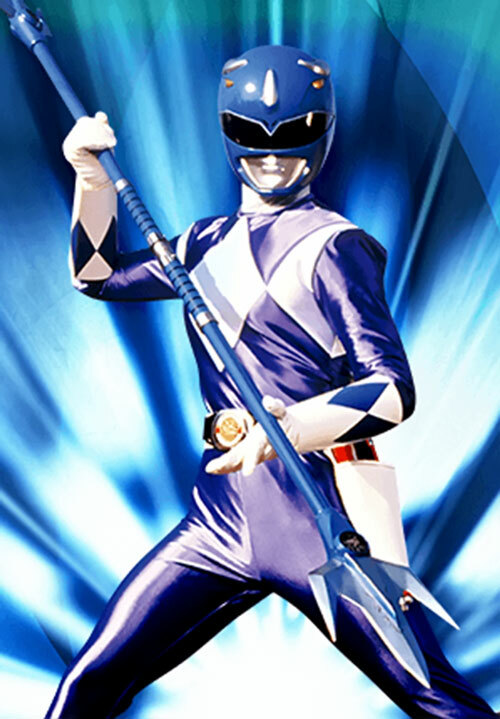 The double-bladed weapon is: nearly as tall as Billy, razor sharp and can generate intense electricity. 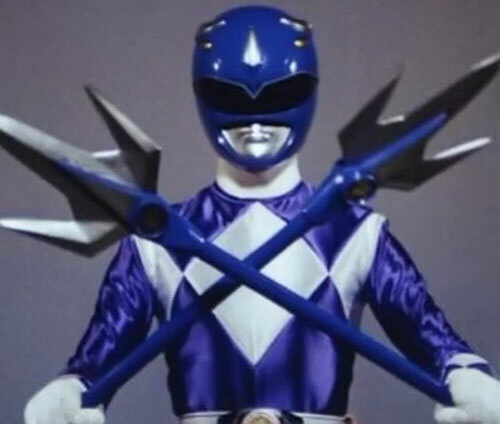 When necessary, the Power Lance can be combined with the other Rangers’ “Power Weapons” to form a large crossbow like weapon; the Power Blaster. 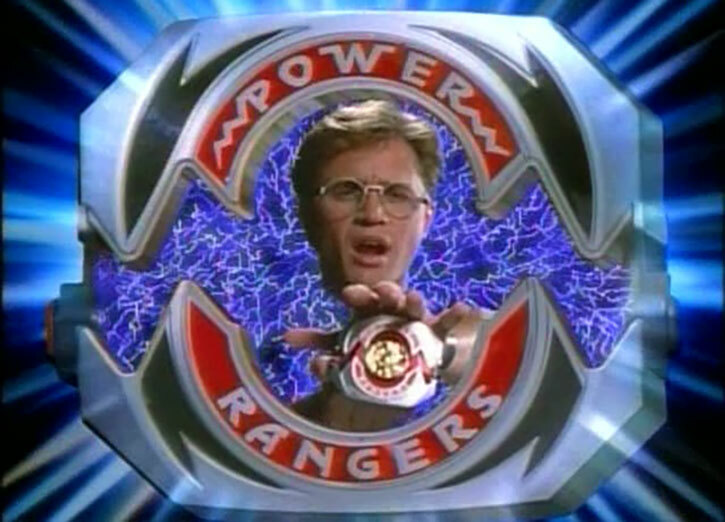 Billy utilizes a Wrist Communicator to keep in close contact with his fellow Rangers and Zordon in the command centre. The communicator appears to be watch-like device that Billy wears on his left wrist. In addition to its standard cell-phone like features, the Wrist Communicator can access the Rangers’ Command Center’s Teleportation system remotely. This allows Billy to teleport wherever he needs to go at will. 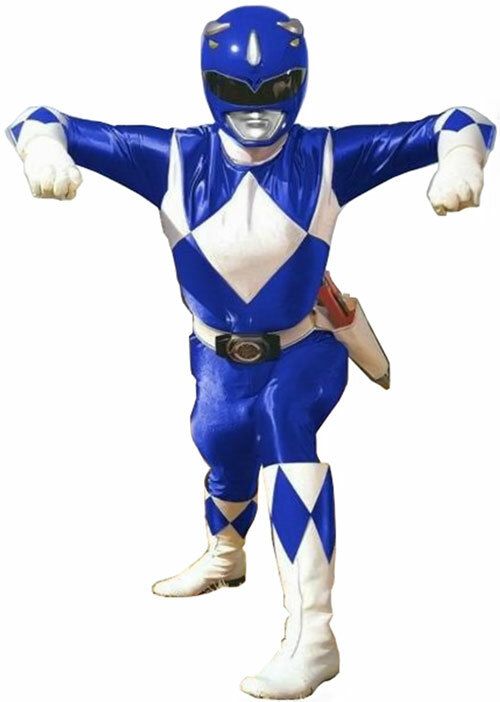 Finally, when clad in his Blue Ranger Uniform Billy gains the ability to summon and pilot the Triceratops Dinozord. Until he does so, Billy is a normal human teenager and is quite vulnerable to conventional injury. (A general history of the Power Rangers can be found in the team’s own WORG entry). Billy is a rather typical looking Caucasian teenager with light blue eyes and medium length dirty blond hair. Billy projects a rather bookish (almost awkward) demeanour, which is only enhanced by his slender build, conservative clothing and large circular glasses which he can constantly be found pushing up the bridge of his nose. Like all of the Rangers, Billy always dresses in the colour of his Ranger designation. In Billy’s case, this results in him being dressed head to toe in blue. 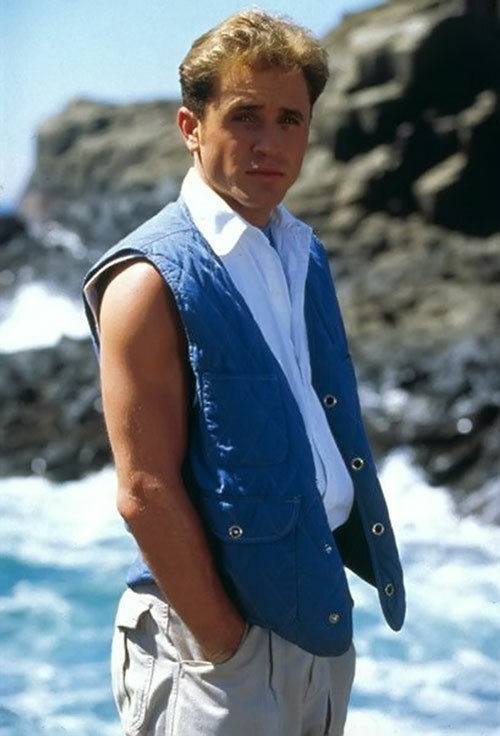 His outfits are almost exclusively made up of denim (either jeans or overalls) and blue T-shirts or button ups. When his powers are active, Billy is clothed in his form-fitting Spandex body suit. Three white diamonds are featured prominently across the chest, upper shoulders and the middle of the back of the costume. His hands and forearms are covered by a pair of white gloves that have triangular diamonds at the upper end of the gloves. His feet are covered by a similar pair of white boots. Situated around the middle of waist sits a pure white belt that holds Billy’s Power-Morpher in the place of a belt buckle. Outside of all of the white, the rest of the costume is a vibrant shade of blue. 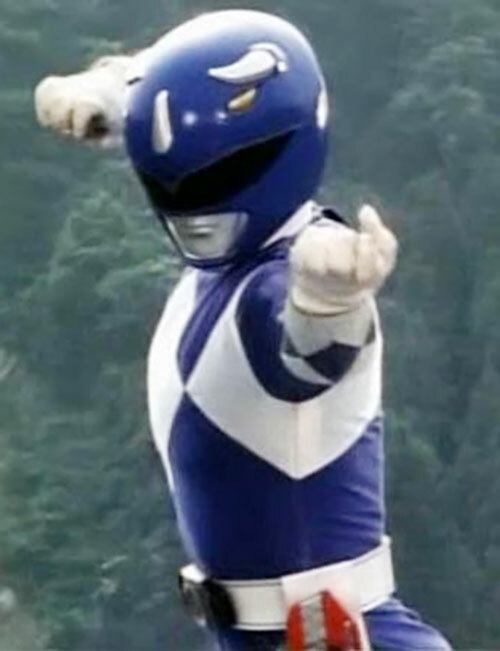 Billy’s Blue Ranger uniform is topped off with a helmet; the top of which is fashioned into a Triceratops-like shape whose mouth surrounds the visored eyes of the helmet. 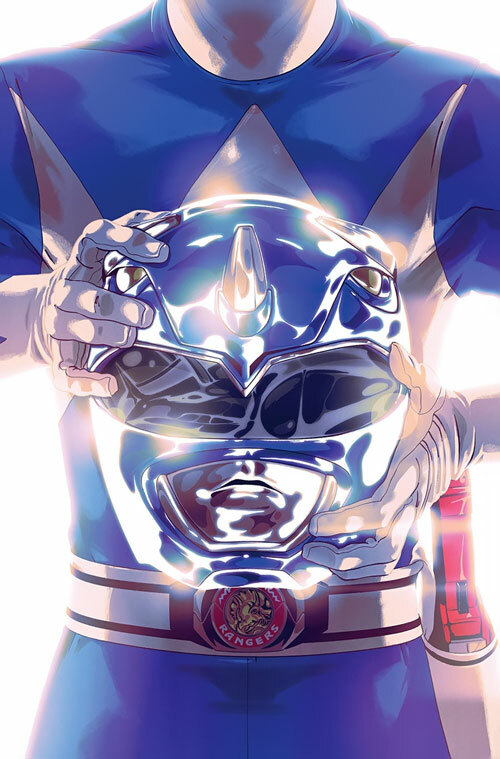 Like all of the other Rangers, the mouth piece of the helmet was covered by a grey moulded material that was fashioned in the shape of a mouth. Like many characters found in television shows designed for young children, Billy is good to a fault. He is excessively polite, motivated, cheerful, and civically minded. Initially, he wasn’t as brave as his peers but he soon grew to be as selfless and courageous as any of the other Rangers. Billy’s standout personality trait is clearly his raw intelligence. From his first appearance, he is a prototypical nerd/genius who always used large, overly complex words when speaking. It became a running gag that quite often none of the other Rangers (save Trini) could understand what he was saying. Over the course of the two seasons, this all changed, and Billy’s demeanour become much more like his friends. Area Knowledge (Angel Grove), Genius, Headquarters (Expansive), Scholar (Computer Science). 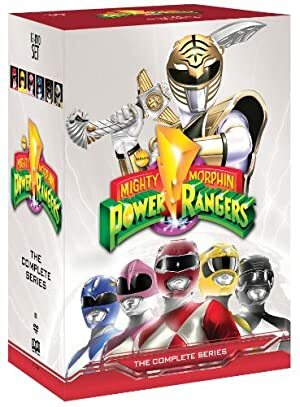 Tommy Oliver (High), Zack Taylor (High), Jason Lee Scott (High), Trini Kwan (High), Kimberly Anne Hart (High), Zordon (High). 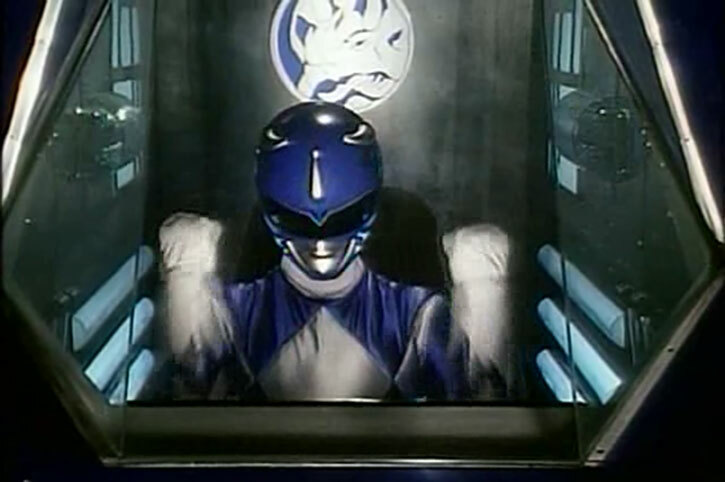 Alter-Ego (Billy Cranston – Controllable, becomes Uncontrollable if BOD is reduced to 0 APs; +10HP), Secret Identity. BLADE BLASTER [BOD 08, EV: 03 (05 with Str, 06 with Martial Arts), Energy Blast: 06]. POWER LANCE [BOD 10, EV: 04 (05 with Str, 07 with Martial Artist), Electric Being: 06]. 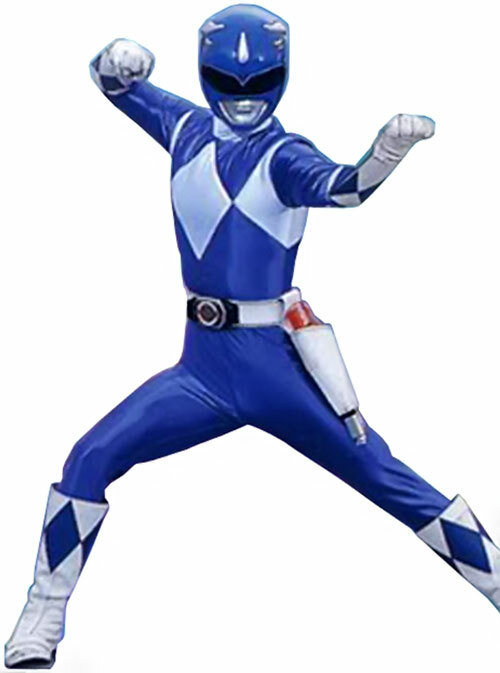 Age (Young), Alter Ego (Blue Ranger, Controllable), Miscellaneous (if Billy assumes this form due to an Uncontrollable Alter-Ego change, he suffers an immediate 04 AP Bashing Physical attack), Secret Identity. POWER MORPHER [BOD 05, R#1. Bonuses & Limitations: Enables Alter-Ego (Blue Ranger); Requires Power Coin]. 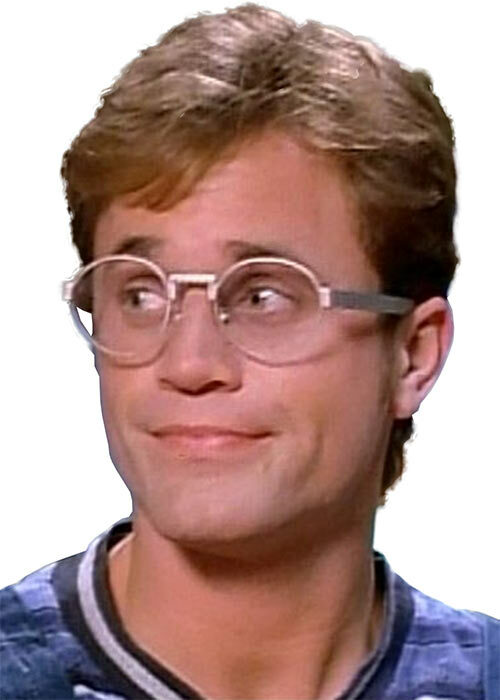 Source of Character: Television Series – Saban’s Mighty Morphin Power Rangers, portrayed by David Yost. Writeup completed on the 18th of April, 2015.